I didn't do much reading this past hour, because I was adding some past reviews to NetGalley and working a little bit on my blog schedule for this week. I am working on my second book though, and since it's short I should finish it either this hour or next! It's no secret I am a fan of Harry Potter. 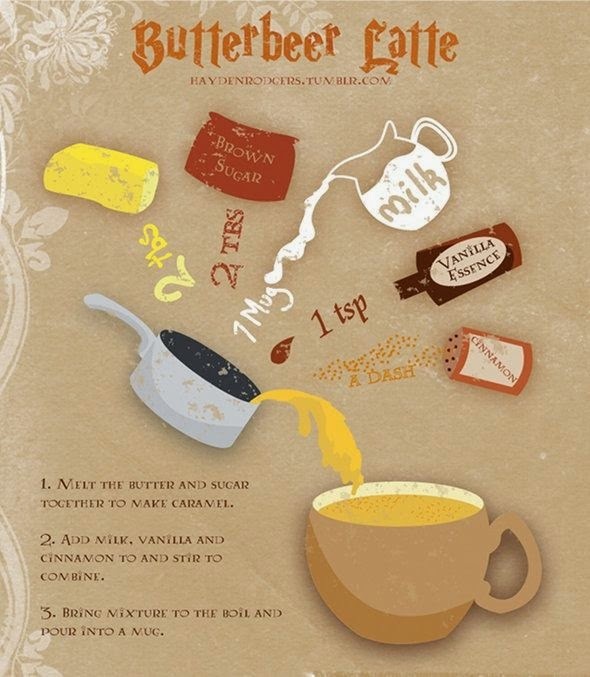 My favorite recipe from the series is obviously Butterbeer, which I had the chance to try at LeakyCon a couple years back! I recently stumbled across a Butterbeer latte recipe, so here it is! Click the link for my Pinterest where I originally found it!